You can always count on the Crosstown Cup to draw viewers in Chicago. No matter what side you’re on (disclosure: yours truly is a fan of the team in black), we can all agree: the real winners are the game of baseball and television in general. According to Nielsen via the Chicago Tribune, the nearly four-hour game earned a combined 10.4 rating over three channels, easily beating everything in primetime. Breaking it down, Cubs rightsholder WLS-TV finished with the largest share of viewers with a 6.5 household rating. 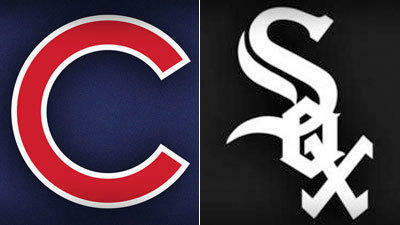 The White Sox telecast on CSN Chicago averaged a 2.4 Nielsen rating, their highest of the season. As the rebuild progresses (and the losses pile up), ratings for White Sox baseball has been abysmal so far this season, averaging a 0.8 rating at the All-Star break. Finally, ESPN broadcast the game nationally with a 1.5 rating locally, and did a respectable 0.6 national rating, on par with recent Wednesday Night Baseball games. White Sox broadcaster Jason Benetti (who’ll assume full-time duties after Ken “Hawk” Harrelson retires in 2019,) handled play-by-play with former Cubs stars David Ross and Rick Sutcliffe in a fun and enjoyable telecast. The Cubs took three out of four in the Crosstown Cup. The victory by the White Sox Monday was their only one in the last thirteen. Despite the perceived animosity between the two clubs, the series has managed to avoid the bad blood experienced during the Los Angeles Dodgers-Anaheim Angels Freeway series last month, which saw both teams in a bench-clearing incident during the series and videos of fans of both teams fighting in Dodger Stadium and Angel Stadium – quite notable in laid-back Southern California. But that doesn’t mean there hasn’t been controversy. During Tuesday’s game, Cubs pitcher John Lackey hit four White Sox batters while afterward, one White Sox player hit a Cub player in retaliation, drawing a warning from umpires toward both benches. During the telecast on WGN, Harrelson said: “That’s enough of that B.S. Let’s see which one of your boys is going to get drilled…or maybe you.”. In an era where even the most minor NBA news is a big deal to the national sports media, It’s stuff like this that makes the Crosstown Cup always entertaining. And you can put THAT on the board.